Girl Drinks Hot Chocolate Mug, With Christmas Branch Of Fir Tree On Rustic Table With Blanket. Lizenzfreie Fotos, Bilder Und Stock Fotografie. Image 114141368. Standard-Bild - Girl drinks hot chocolate mug, with christmas branch of fir tree on rustic table with blanket. 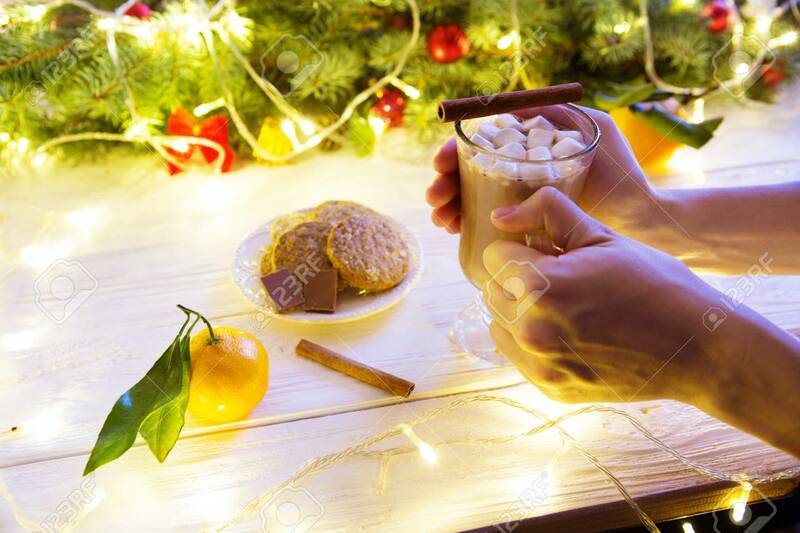 Girl drinks hot chocolate mug, with christmas branch of fir tree on rustic table with blanket.